Also available on many models is the Power Tilt feature. The 20 hp Power Tilt is ideal for inflatable, fishing, and pontoon boats. 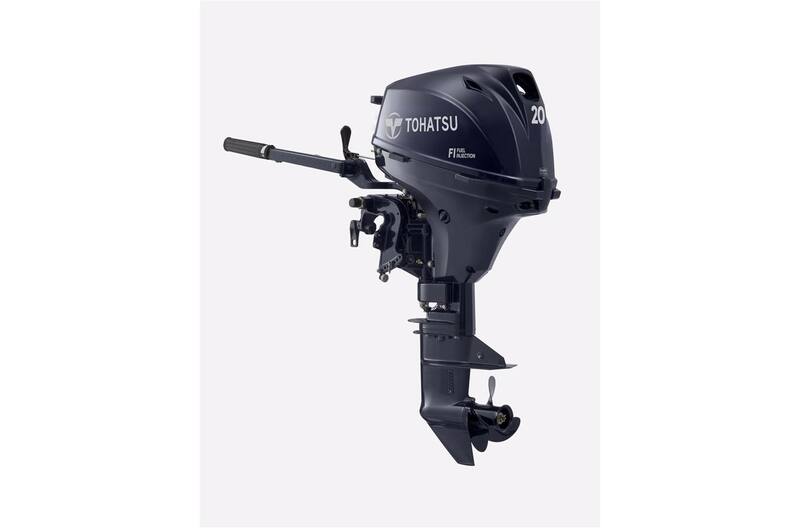 The uniquely designed engine improves functionality and convenience with its light power tilt and transom bracket. Now you can tilt your motor out of the water with just a push of a button. Simplify your boating experience with a power tilt model. Try our new 20hp EFI for the ultimate boating experience because you don't deserve anything less.